My job requires that I spend a large portion of my day sitting in a chair working on a computer. Therefore, the wife and I have decided to research the pros and cons of various gym machine suitable for home use. When the search started, we compared ellipticals, treadmills, stationary bikes, and rowing machine. Though we both look and feel healthy, we want to be more active. We both experience back pain, likely due to bad posture at work. Getting out of a chair and moving is the first step to strengthening the core to minimize back pain. Something that won't break the bank. My assumption is one year gym membership, which at $50/month is about $600/year. Therefore, the gym machine should not cost more than $600. Right off the bat, we eliminated stationary bikes and rowing machines because the usage of both are via a sitting/stationary position. That being said, both provide superb workouts and I do have access to them at my company gym. The rowing machine is a very good workout, but focus much more no the arm and less on a cardio workout. The comparison came down between an Elliptical vs Treadmill. Both allow running which is good for cardio, legs, and some basic arms. The plan is to get several days of exercise per week. For that reason, exercising on an Elliptical may not be as efficient a workout as a Treadmill, but the Elliptical is easier on the knees. All the effort spent exercising would be for waste if either of us were to sustain any long term injury. The treadmill is slightly better for a good workout, but the Elliptical isn't far behind. Both men and women are capable of using either the Treadmill or elliptical. This comes down to a matter of personal preference. In my opinion, an elliptical is safer as the threshold for injury is much lower when compared to a treadmill. I've seen too many #FAIL treadmill YouTube videos of people falling from a mis-step. Therefore, we both prefer the Elliptical over the Treadmill. On Amazon.com, both ellipticals (as low as $80) and treadmills (as low as $250) are available for purchase in a variety of prices, so I don't imagine price becoming an issue with either option. The only difference is the build quality of machine and any long term problems and maintenance. 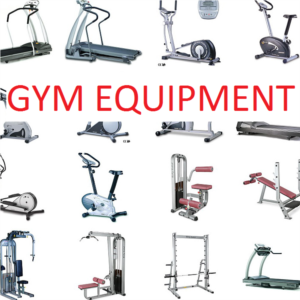 Problems with gym equipment include anything as simple as minor squeaks to major issues like machine breakdowns. Both ellipticals and treadmills meet the cost guideline. Given those options, we opted to continue our search for the perfect elliptical machine.